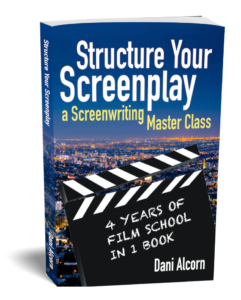 To begin, I would like to take this opportunity to thank Dani Alcorn for inviting me to write a guest blog post for Writing Academy. This all came as a surprise, but I’m grateful my book resonated with so many, and am still shocked with the overwhelmingly positive reception the book has garnered since its publication on December 1, 2018. My passion for drawing guided me into a profession in the engineering and construction industry. My daughter recently reignited my passion for story telling and illustration. She inspired the story of Nobody Loves Mustard. I frequently squirt mustard (copiously) on my food, whether its Pasta e Fagioli soup or Texas BBQ brisket. My daughter enjoys teasing me about how mustard always seems to find its way onto my plate. In fact, she’s nicknamed me “Mustard,” and that’s where it all began! I’m happy to share my experiences regarding all aspects of my journey, including lessons and tips I learned along the way. Being new to the publishing industry, I learned a lot with my first book. In fact, I believe pursuing the non-traditional publishing route was the best avenue for me, because I learned so much. As a new author/illustrator, I’ll share the key elements that helped me along the way with the hopes you find your version of success with your books, whatever that means to you. For me, having fun making this book with my daughter and seeing it come to life was the most important part. The rest came naturally. I had absolutely no idea how to publish a children’s book, much less which route I should take. Should I pursue big-time publishers and look for an agent, or should I self-publish and join the Independent Author space (commonly referred to as “indie”). To answer this difficult question, I tried both. In short, the traditional publishing route was unsuccessful– yet extremely rewarding. I received friendly rejection letters, which confirmed agents actually looked at my work and took the time to respond. As an author/illustrator combo, I thought maybe, just maybe, I would have an edge over the competition; but I was wrong. Nevertheless, I learned the process thoroughly and have great respect for authors who get deals with the publishing houses, especially the Big 5. You guessed it. I chose option 3! With all the hard work poured into the book on weekends and after work, I was determined to get our little story published. Having to be the author, illustrator, creative director, cover designer, and publicist, it became evident independent publishing is no easy task! It didn’t matter, I love a good challenge, and my #1 fan is waiting for her book– that was my inspiration. Note: Although I independently published my first book, that doesn’t mean I wouldn’t pursue traditional publishing for future books. At the end of the day, publishers need to turn a profit, and if you are a new author, chances are they can’t risk picking you up, even with an amazing story. Therefore, I suggest you first try traditional publishing and learn as much as possible from this process before you pursue going it alone. Whether it’s playing ukulele or writing the next best-selling thriller, complete immersion is the quickest way to learn as much as possible about your craft. Complete immersion means diving into your work and becoming totally immersed in the material so nothing can get in the way of completing your goals. Practice, practice, and practice some more. The only way to get good at anything is to do it often and learn as much as possible from others better than you (especially courses offered by Writing Academy– excuse my shameless plug). Don’t be afraid to beta test your work and get others to read and offer constructive criticism. Never submit your first draft! 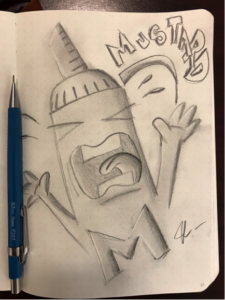 As a self-taught illustrator, I enjoyed taking art classes as an adult and learning more about art theory and the fundamentals (e.g., color, shapes, gray scale, lighting, etc.). Although drawing is a natural skill for me, taking courses really helped take my art to the next level. My goal is to notably improve my skills with each book. Hopefully my readers agree. This was a no brainer for me, given I had absolutely no idea how to publish a book, or copyright it under law. With today’s technology, publishing a book is much easier than in days past. Learning the ins and outs of publication, copyright law, potential legal pitfalls, trademarks, fair-use, and everything in between is instrumental in learning the publication process. Take the time and learn this process, especially the legal aspects of writing and publishing. You own your work, but you also own responsibility for what you publish. Thankfully, all my writing and illustrations were created by me, so I was able to copyright my book and register it under my name. So, your book is published, and you’re done, right? Wrong! Without marketing, your book will simply sink into the Amazon graveyard. If you have absolutely no interest in understanding the algorithms, advertising, or promoting your book, hitting a best seller list will be that much more difficult for you, if not impossible! Don’t skip this crucial step; learn how to sell your book, especially if you are an indie publisher – because no one else will do it for you. Heck, even traditional publishers have limited appetite for spending on marketing, and therefore, place marketing the book back on the authors. With a plethora of articles and websites online, a simple search can yield, what seems like, an endless supply of information. It’s up to you to weed out the helpful with the nonsense and learn as much as possible from other authors and contributors. As a children’s book author/illustrator, I joined SCBWI and reached out to many other author/illustrators for advice, tips, and to answer any questions I had about the process. During your complete immersion process, you should take notes on everything you’re learning. This is the best way to capture everything into a single, easy to find location. Don’t underestimate the power of note taking; it’s how many books are written. Unless you’re a superhuman with amazing memory, you’ll find note taking very helpful. Don’t be Afraid to Ask for Professional Help. I saved this for last, because you first need to learn as much as possible on your own. If you ask for help before researching and completely immersing yourself into the subject, your helper might just suggest you do more research. Try to solve as many problems as you can before seeking help. Once you’re ready, ask for help and possibly seek out a mentor relationship. Be patient and be respectful. Keep in mind nothing is urgent and most importantly, be grateful for whatever advice you do receive. If you can afford an editor, hire one! 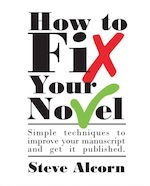 A good editor will find errors that are commonly overlooked, even if you read your book a hundred times. Don’t underestimate the power of a good editor. Remember, you don’t get a second chance to make a first impression. Don’t underestimate the power of goal setting. Without a time-bound goal to complete your book, it could take years to complete, or worse, never get finished. Avoid vague goals such as, “I want to be an author”. Try to be more specific – for example, “I will publish my book in 12 months”. Once you have a goal, you need a system. You see, a goal is the result, but a system is the set of processes and tools to ensure you arrive at your goal. A vacation in the Bahamas may be your goal, but the system is saving money monthly, establishing a budget, and securing your vacation with ample time to ensure you get the best deal you can afford. Without the system, you may never be able to achieve your goal. And no, simply charging your credit card for the trip and worrying about it later is not a system (unless being in debt is one of your goals). If you want to write a book, you need to create systems to help you achieve your goal. If you can’t find time to write daily, then your goal is simply a lofty idea that may never materialize. Find your system and put it to work. In my situation, writing and illustrating children’s books is a passion. Having it as a passion offers creative freedom without the stress of having to turn out book after book to pay the bills. The term “starving artist” certainly holds truth. Let’s be honest, unless you’re a well-known author selling hundreds of thousands of books on a yearly basis, it’s going to be hard (if not impossible) to make writing books a full-time career. I already have a full-time profession in the engineering and construction industry, one that I enjoy doing; thus, writing and illustrating children’s books will continue to be a passion for me whenever free time allows. While I believe publishing through traditional means carries more esteem and still offers more earnings for authors and illustrators, that doesn’t mean indie authors can’t expect to receive passive income from pursuing the independent route. I believe it’s important to write and illustrate for the love of doing it, rather than trying to make a buck. If you can make a living writing, go for it – but don’t let it be the determining factor of whether you pursue writing. With a full-time job, I look forward to downtime at home with my family and coloring with my daughter, at least that’s what my wife calls it! Creating picture books is a perfect way to relax and destress after long days at work. Personally, finishing Nobody Loves Mustard and having my daughter hold the book close to her chest was success. While some authors may struggle for years trying to perfect their book, my goal was simply finishing it. Sure, I spent countless hours writing, re-writing, editing, drawing, re-drawing, but never did I feel my book was perfect. I focused more on finishing it, rather than perfecting it. With my goal of publishing Nobody Loves Mustard by 1 December 2018, just in time for Christmas, I knew there would come a point in time where I had to stop trying to get it perfect, and just get it done. And so, I did. If someone had told me Nobody Loves Mustard would become an Amazon No. 1 Best Seller—with over 1,000 sales across eleven countries—I would have laughed and brushed them off in complete and utter disbelief. According to Amazon, at the time of this article, nearly 40,000 pages have been read on Kindle devices since publication! I saved a screenshot on my phone because I didn’t think anyone would believe me. I knew the odds were against me, but I didn’t care. I had a story to tell, an important story with a core message of love, belonging and acceptance. 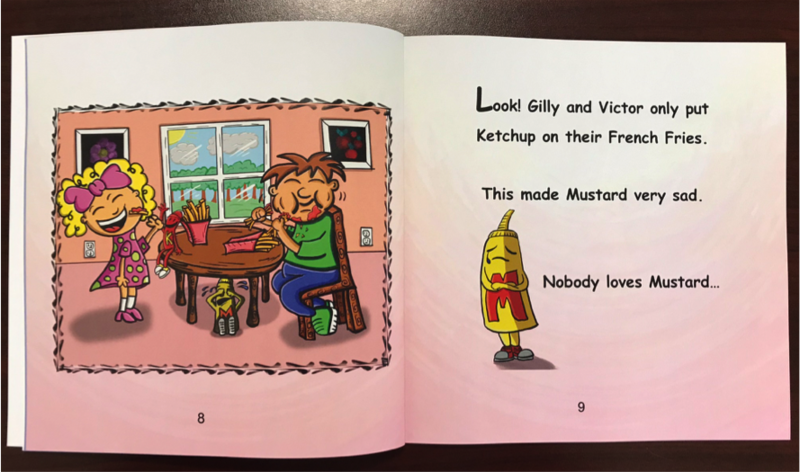 And our protagonist, Mustard, was the perfect character to embody this core message. Most importantly, I simply enjoyed the process of creating the story with absolutely zero expectations of becoming a best-selling author on Amazon. Success, to me, was finishing my book. Everything else, including the overwhelmingly positive reviews, was simply icing on the cake. It means so much to me that readers of all ages loved the book and the illustrations, and that is a great motivator to keep going. My Book’s Done, Now What? If you’re one of the few author/illustrators with an amazing book deal, now is the time to let your agent and publishers do the heavy lifting, which is a great opportunity for you to start your next book. However; for the indie author/illustrator, this is when you need to take critical steps to format and publish the book across all the platforms you intend on publishing on. My experience is limited to Amazon, so I’ll focus on what worked for me. Top 10 Steps to Help Promote Your Book on Amazon. KDP stands for Kindle Direct Publishing, and Amazon has taken the guess work out by offering its authors classes, tools, webinars, videos, and detailed instructions to get your book ready for publishing. Give yourself about a week to learn everything and get ready for your launch. With the KDP Community, you have the opportunity to find both new and experienced authors and publishers and ask a question. If you enroll your book in KDP Select, you have the opportunity to earn higher royalties and share from the KDP Select Global Fund. Many Amazon customers are avid readers and take advantage of Kindle Unlimited and Lending Library services offered by Amazon. If you enroll your book in Kindle Unlimited, your book will be offered for free and get more reads and downloads than from sales alone. While some authors can’t be bothered with formatting their book for the Kindle, this is a critical step in ensuring your book is offered to the largest audience. Admittedly, more of my books were downloaded in the 5-day free period than from sales after the promotion. This peak helped catapult my book into a hot new release and helped gain traction for the after effect of sales. More importantly, parents who downloaded the Kinde Edition for free have the opportunity to order the Paperback to join their children’s library at home. Amazon Marketing Services (AMS) allows you to run ads for your books to reach as many customers as possible. Although it may seem highly complex, this is a critical step in reaching as many people as possible. You want customers to see your ad, click it, and buy a copy of your book. Although you’re only charged when customers click your ad, it’s imperative you get everything right to convert clicks to sales. Don’t short cut this critical step. With the right key words and categories for your book, you will be able to reach a larger audience and increase your chances of being a best seller in your particular category (if that’s your goal). Unless you have tens of thousands of email subscribers, it’s going to be difficult to get attention without sharing your book across promotional book sites. While many are free, most are paid– and results are not guaranteed. Simply do a search online for book promotion sites, and you can do your homework from there. Depending on whether you’re promoting a fitness book or children’s picture book, different sites have a larger reach. Some authors have existing social media platforms, with hundreds of friends and family already within reach. I didn’t. In fact, Amazon is strict with family reviews, so I specifically asked my family to not post a review, no matter how bad they wanted to support my book. During my book launch and 5-day free period, it was important to share my book with as many people as possible, and hopefully – several very nice folks would take the time provide an unbiased honest review. If you’re reading this and provided a review for Nobody Loves Mustard, – THANK YOU! It means a lot to me that you took the time to provide a review. Notably, I make it a point to provide an honest review for books I like as well. Out of the 1,250 people who’ve read my book, I’ve been fortunate to get 54 honest reviews (4%). In comparison, some of the other children’s books have over 2,000 reviews! My goal was 50 reviews, so I’m happy I was able to exceed it, even if by just 4 reviews. As mentioned earlier, it is important to manage your expectations and be realistic with your goals. Do you write because you love writing, or are you trying to make a living from it? Be honest with yourself, and don’t expect anything unreasonable. Thanks for reading this far! Hopefully you learned something along the way, I certainly did. Finishing my book was the most rewarding experience, and it was a lot of fun too! The book didn’t make a lot of money, so don’t think hitting best seller status, etc., will make a difference. The difference is what did you learn during the journey. I’ll leave you with a few final things to think about it. Never give up on your passion. Embrace rejection and learn from it. Keep learning to improve your craft. 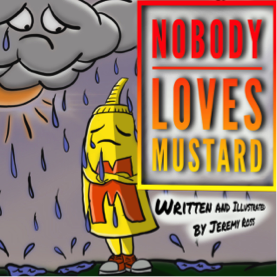 Also, you can pick up your very own copy of Nobody Loves Mustard (both Kindle Edition and Paperback) by clicking the book cover image below. Jeremy Ross is the author and illustrator of the hilarious read-aloud children’s picture book, Nobody Loves Mustard, a delightful tale that combines humor with a powerful message of love and belonging. As a child, Jeremy Ross loved to draw and create stories – but it wasn’t until Jeremy had a child of his own that his passion for drawing and creating stories was reignited. As a first-time children’s book author, Jeremy strives to continue creating children’s books for young readers for years to come!